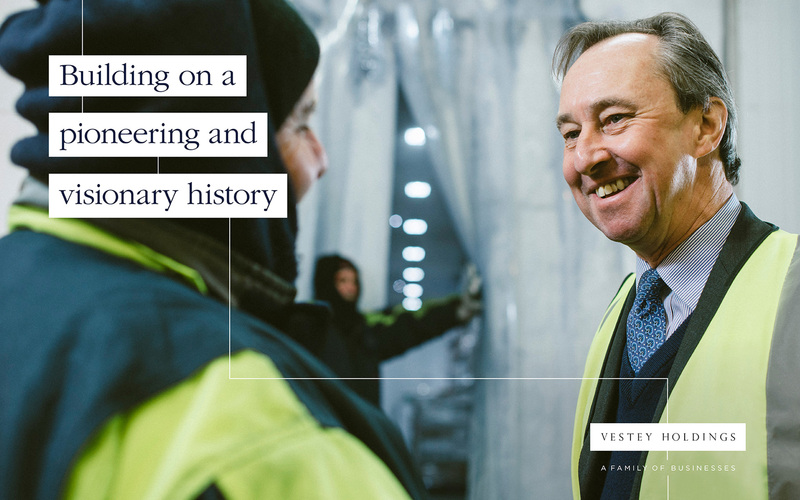 The origins of Vestey Holdings date back to the 1890s when brothers William and Edmund Vestey established the Union Cold Storage Company in Liverpool. Among the first to exploit the potential of refrigeration, they developed cold stores across the UK and throughout Russia, the Baltics, and Western Europe. In the early 20th century, the business expanded into China, establishing a vast egg processing enterprise. With their fleet of Blue Star Line refrigerated vessels, they were able to supply the bakery trades in the UK, USA, Europe and South Africa. They acquired pastoral land and meatworks in Venezuela, Australia and Brazil, with additional meatworks in New Zealand and Argentina. They also introduced butcher shops throughout the UK, with around 3,000 Dewhurst outlets by 1923. The Blue Star fleet grew to become one of the most iconic shipping lines in history. At the end of the 20th century, the vertically integrated model by which the food business had previously operated was broken up, leading the holding company left with an assortment of stand-alone food businesses. Vestey Holdings approached Squad with a culture challenge. George and Robin Vestey – the fourth generation of the family – now ran the business. Following the dramatic changes of the previous twenty years, they wanted to start looking forward again and rebuild their great business for the 21st century. The challenge was that the independent nature of the companies left in the group meant they had little in the way of a common culture. George wanted to embed his vision, ethos and values in the fabric of the organisation. As we began working together, we observed that they had another different but connected problem. The holding company had no identity of its own. The most significant business in the group was Vestey Foods, this carried the family name, and it also served as the HQ for the holding company. To many inside and outside the business, it seemed like Vestey Foods was the holding company. But Vestey Foods is a trading business and isn’t necessarily something to be associated with the Fine Foods division within the group. The brand architecture of the group needed to change. 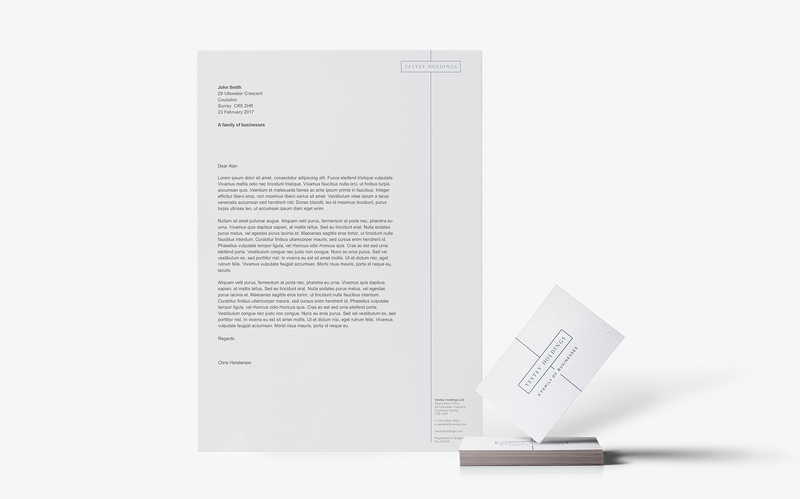 We recommended creating an identity for the holding company that would position it separately from all the subsidiary businesses. It would have a positioning that they were all happy to be associated with and which would reflect the culture that connects them. With agreement on this, our focus turned to the articulation of George’s vision and building the new Vestey Holdings brand around this story. We spent time in many of the businesses, travelling between Scotland, France and England. We spoke to people at all levels in the organisation. We delved through their archives and absorbed the history of the businesses. We heard about what fantastic business owners the Vestey’s are. They engage personally in the businesses but also give them autonomy. They provide the stability that’s vital for long-term prosperity. They want everyone to be rewarded and proud of the success they collectively achieve. We coined the phrase ‘business custodians’ to summarise Vestey Holding’s philosophy. As a holding company, it has very little concerning operations, with the subsidiaries responsible for the bulk of the activity. Their story could not be about what they do: it had to be about their philosophy and approach to the businesses they own, which is ultimately what they all had in common. Armed with this articulation, we set out together to build a culture around it. The primary audience was not consumers but staff and other business partners. To launch the initiative, we created a short film that explained the ethos of ‘business custodians’ in an emotive way. The film focuses on the people within the business units and their strong connections with the Vesteys. Being a new brand, Vestey Holdings also needed an identity. The fact they’re a family business inspired our solution. Family trees stretch back through time showing links with the past, but they also extend forward into the future. 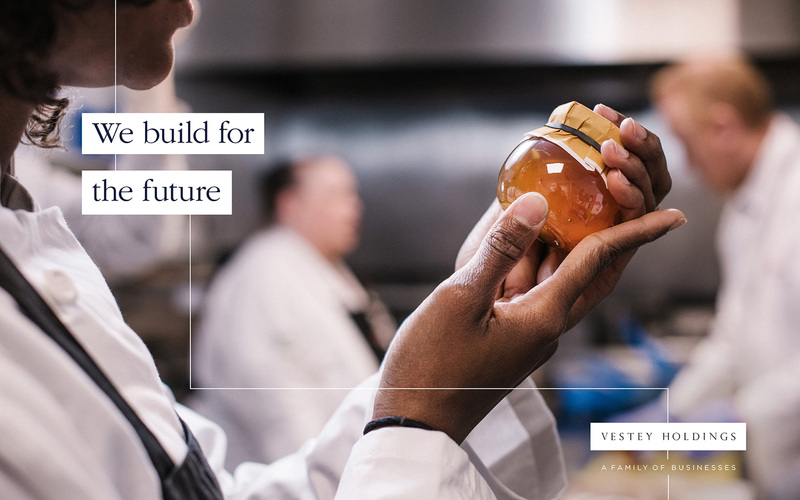 They link past generations with future generations: a perfect metaphor for the journey that Vestey Holdings were going on – proud of their illustrious past but looking to the future. The identity has the appropriate gravitas for such a long-established business, yet with a sleek modern edge, displaying the company's ambitions for the future. 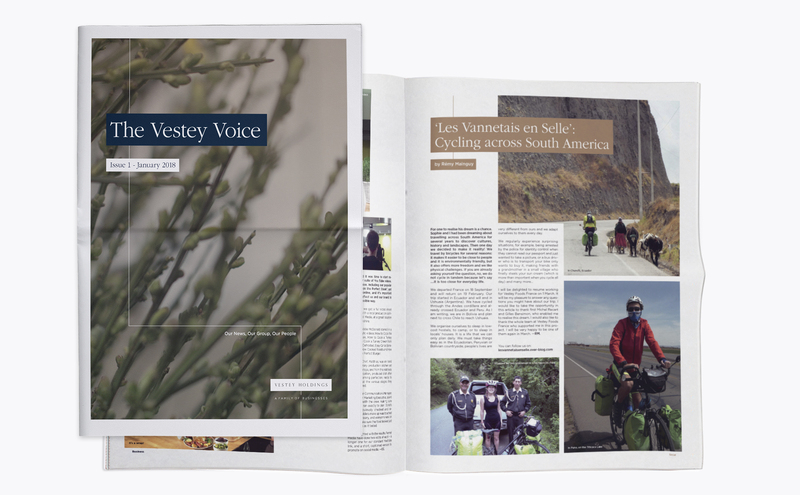 To keep the momentum alive following the launch of the film and branding, we’ve worked with Vestey Holdings on a range of communications materials and initiatives. "Strategy and living our values are key to the identity of our organisation. We greatly value the insights of Squad and their creativity in enabling us to communicate our key central themes effectively both to an internal audience and to our wider stakeholders." A digest of our best thoughts from the intersection of strategy and creativity. A digest of our best thoughts from the intersection of strategy and creativity. Words are taken from our journal, work and social media. The Words What We Wrote is dispatched by email quarterly and as a printed newspaper annually.